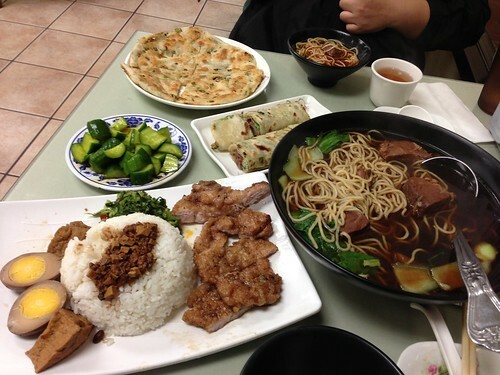 PIC: Beef noodle soup & pork chop rice & green onion pancake & beef roll & pickled cucumber time. Taiwanese comfort food! PIC: Beef noodle soup & pork chop rice & green onion pancake & beef roll & pickled cucumber time. Taiwanese comfort food!, originally uploaded by @jozjozjoz. Sunday night dinner with Yoshi. The jozjozjoz.com archives for Monday, December 3rd, 2012.